How can the OSATS tool be both formative and summative? Formative OSATS (SLEs) give trainees the opportunity to practise and get feedback for a given procedure. 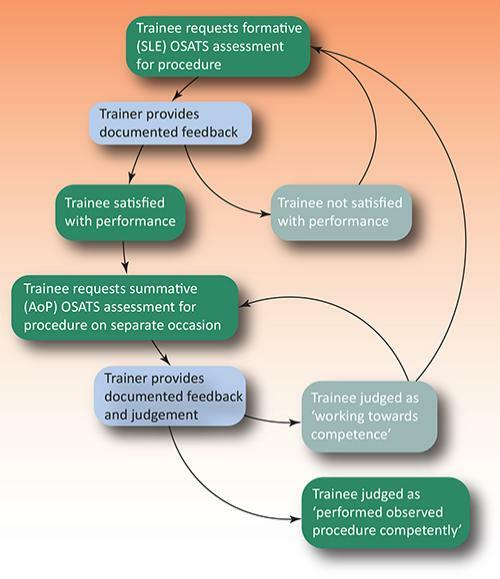 Summative OSATS (AoPs) allow trainees to demonstrate their competence in that procedure and progress in their training. Once a trainee feels they are competent in a procedure they can request an AoP. REMEMBER! It is not possible for a trainee to request a formative (SLEs) OSATS encounter, and then upgrade this to a summative (AoP) encounter if it goes well.